We take great pride in your smile and will always make sure to give you the very best value for your time here at Surprise Smiles. We understand how hard it can be to have a bite that doesn’t fit together correctly, or teeth that aren’t straight. When anyone faces the prospect of corrective orthodontics the first thing they often think of is the embarrassment of braces. No one wants a smile that’s full of metal! That’s why we offer a tooth alignment option that forgoes the braces in favor of invisible plastic trays. All of our teeth alignment options offer you a superior alternative to braces. Instead of having permanently fixed braces you can opt for the more elegant solution of removable aligners. 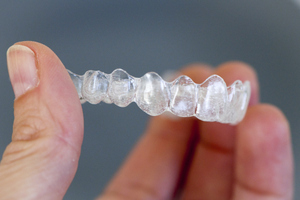 Because these aligners are made of clear plastic, they don’t impact your smile at all. When you smile with one of our alignment systems, all anyone sees is your pearly whites! In many cases, we can even reduce the time it takes to give you the results that you want. With traditional braces, you would be required to visit your dental professional weekly or bi-weekly to have your braces adjusted. With these clear alignment systems, you only have to swap out the trays every month to month and a half, significantly reducing the time spent in our office. These alignment systems can be applied to children and adults alike.  Trust Surprise Smiles to be your family dentist. Braces are notoriously uncomfortable. Many people don’t believe that a comfortable tooth alignment option exists but it does! Our alignment systems are made of clear, smooth plastic that is custom fit to your mouth. While braces can scratch, and poke the inside of your mouth with bands, wires, and brackets, these alignment systems offer only smooth surfaces and comfortable fits. With traditional braces you constantly have to worry about the hassles of proper oral hygiene. Keeping braces clean is a pain in the neck! There are so many nooks and crannies that have to be kept clean and just try not to cut through a piece of floss three or four times per cleaning – it can’t be done! Because our alignment systems are removable, cleaning is as simple as always. You can remove the trays to eat so that your diet never has to change. Overall these alignment systems offer an impressive array of benefits over traditional braces. Tooth alignment issues can be complex, which is why you should choose us at Surprise Smiles to help give you the smile you’ve always wanted. We are well trained in the art of tooth alignment and are always excited to help you make your dream smile a reality.